Fought between 8 March and 18 July 1944, these were the turning point of one of the most gruelling campaigns of the Second World War (1939-45). The decisive Japanese defeat in north-east India became the springboard for the Fourteenth Army’s subsequent re-conquest of Burma. On 7 December 1941, the Japanese attacked the US naval base at Pearl Harbour and later declared war on Britain and the United States. In the days and weeks that followed, the Japanese invaded European colonies across East Asia, including the British territories of Hong Kong, Malaya, Singapore and Burma. They hoped to create a fortified perimeter around a self-sufficient Japan, which could be defended until the Allies tired of war. 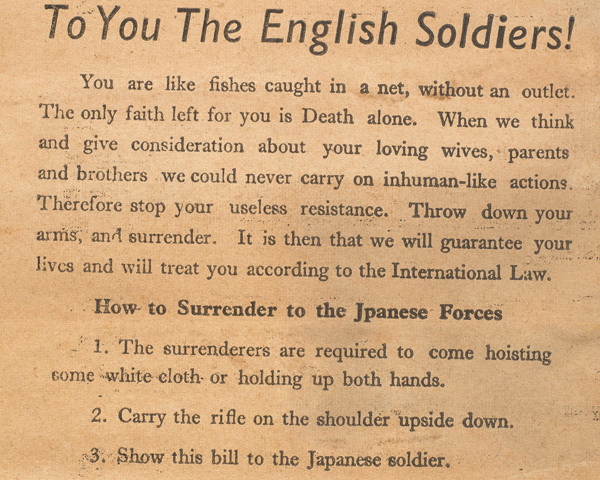 The British had long thought a Japanese land invasion of Burma unlikely, so its defences had been neglected. When the attack began in January 1942, the British position quickly deteriorated. By March, the capital Rangoon and its vital port had been lost. 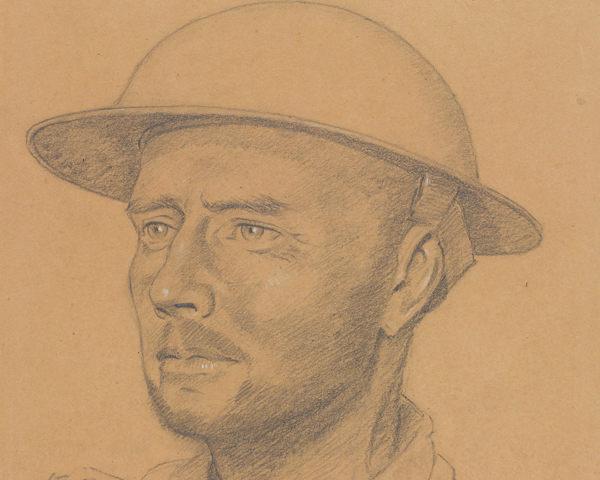 As the Japanese pushed northwards, the surviving Allied troops carried out a five-month fighting retreat to India across 1,000 miles (1,600km) of difficult terrain. In November 1943, a new phase of the war in the Far East began with the formation of South East Asia Command (SEAC) under Admiral Lord Louis Mountbatten. SEAC replaced India Command in control of operations. Under its leadership, the prosecution of the war took on a new energy. Previously, British troops had fallen back when the Japanese cut their lines of communication, and operations had practically ceased during the monsoon. Now, the policy was to stand firm and rely on air supply when cut off, and to fight on through the harshest conditions. In March 1944, the Japanese 15th Army began an advance against India’s north-east frontier to forestall a planned British invasion of Burma. They intended to capture the British supply bases on the Imphal Plain and cut the road linking Dimapur and Imphal at Kohima. With Imphal in their hands, the Japanese would be able to interrupt air supplies to China. It would also give them a base from which to conduct air attacks against India. A Japanese diversionary attack in the Arakan was defeated at the battle of the Admin Box. But in early April, the troops at Kohima and Imphal were surrounded. The plan to attack Imphal originated with Lieutenant-General Renya Mutaguchi (1888-1966), a veteran of campaigns in China, Malaya and Singapore. He led three Japanese divisions and one Indian National Army division. Mutaguchi was stubborn and quarrelled with his divisional commanders during the campaign. The 31st Division, sent to attack Kohima, was led by Lieutenant-General Kotoku Sato (1893-1959). He considered Mutaguchi to be a ‘blockhead’. Lieutenant-General Geoffrey Scoones (1893-1975) commanded 4th Corps at Imphal. This included the 17th, 20th and 23rd Indian Divisions. The 5th Indian Division, which was airlifted in as the battle developed, joined them there. 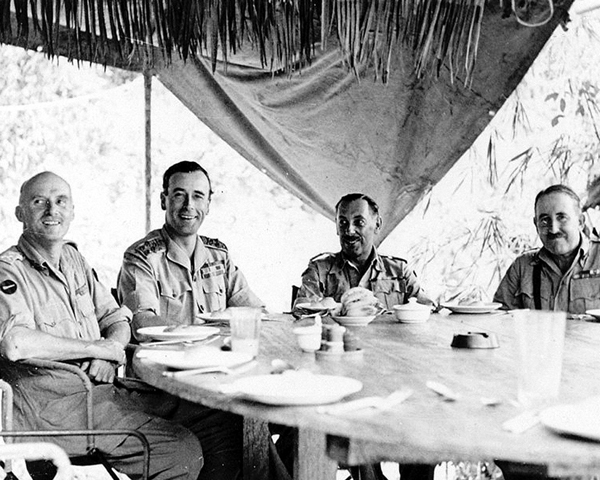 Colonel Hugh Richards (d.1983), formerly of the Chindits, commanded the 2,500-strong Kohima garrison. 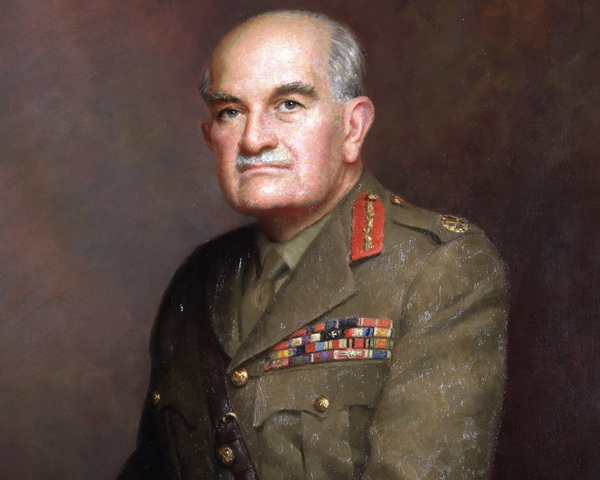 Lieutenant-General Montagu Stopford (1892-1971) led 33rd Corps, which relieved Kohima and Imphal. 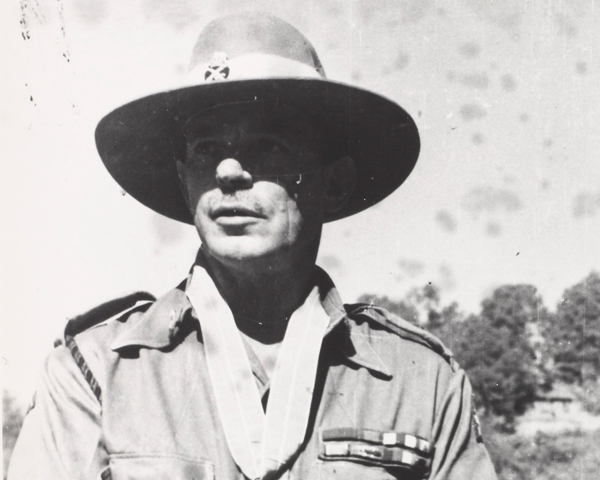 Overall command of British-Indian forces during the campaign fell to Lieutenant-General William Slim (1891-1970), commander of Fourteenth Army. Slim was responsible for restoring the morale of the soldiers after the setbacks of 1942-43. He emphasised the need for jungle warfare training and the use of more aggressive tactics that included the formation by surrounded units of defensive 'boxes' that were supplied by air. Imphal, the capital of Manipur state, lay in a plain surrounded by hills and was the main British base in the area. It was held by Scoones’ 4th Corps. Mutaguchi’s plan relied on his men quickly annihilating 4th Corps and seizing its supplies before his own communications and logistics broke down. 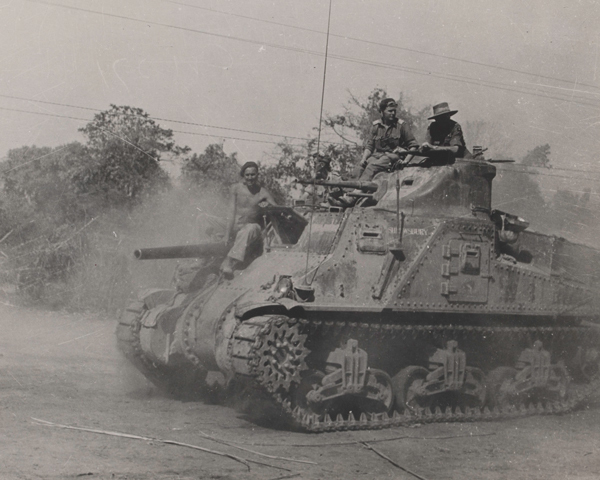 The Japanese 33rd Division would cut off the 17th Indian Division south of Imphal. Shortly afterwards, the 15th Division would attack from the north-east, severing the road to Kohima, some 80 miles (120km) away in Nagaland. Sato’s 31st Division would simultaneously surround Kohima to prevent any relief from Dimapur, which was a further 40 miles (64km) to the north. The Japanese offensive started well. 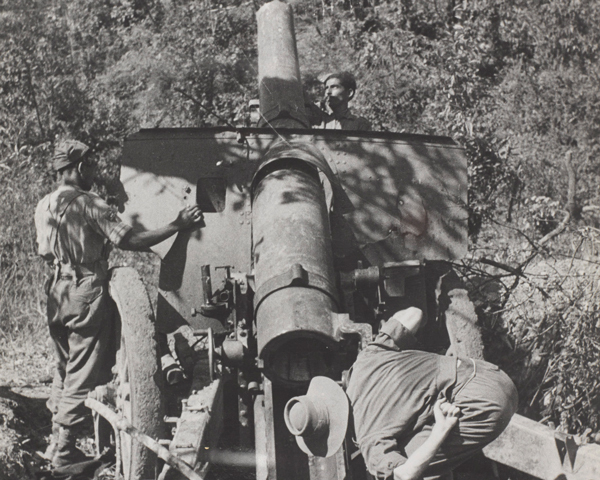 On 29 March, they cut the Imphal-Kohima road and almost surrounded the 17th Division. 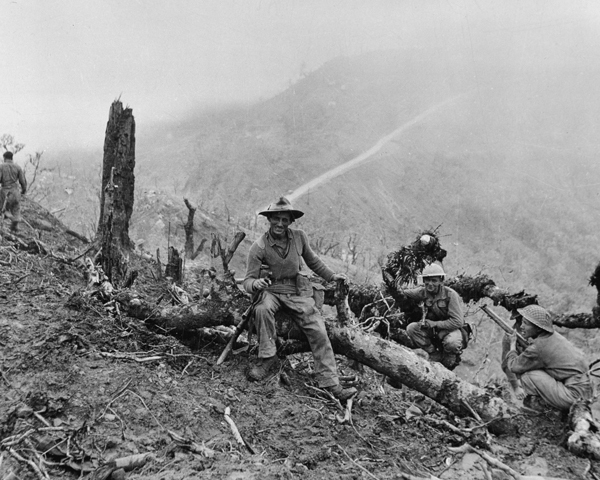 Next, they quickly isolated the hilltop town of Kohima, capturing all but the central ridge by mid-April. Colonel Hugh Richards had hastily organised a scratch force from his 2,500-strong garrison, many of whom were non-combatants. It was built around 4th Battalion, The Queen’s Own Royal West Kent Regiment and the Assam Regiment. 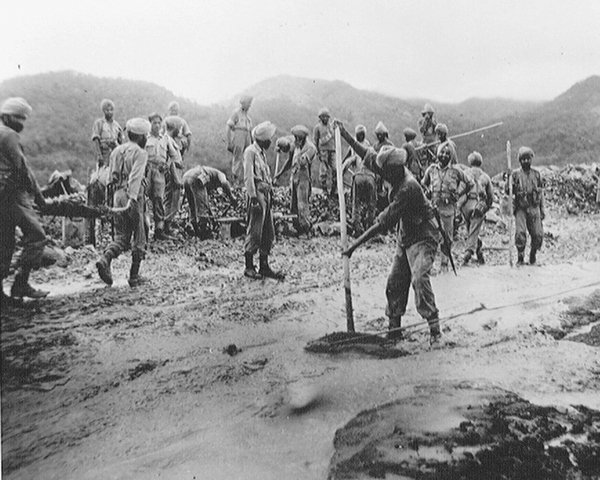 Elements of 161st Indian Brigade, stationed at Jotsoma two miles to the west, also reinforced the Kohima defenders. Faced by 15,000 Japanese, the British-Indian troops held a tight defensive perimeter centred on Garrison Hill. 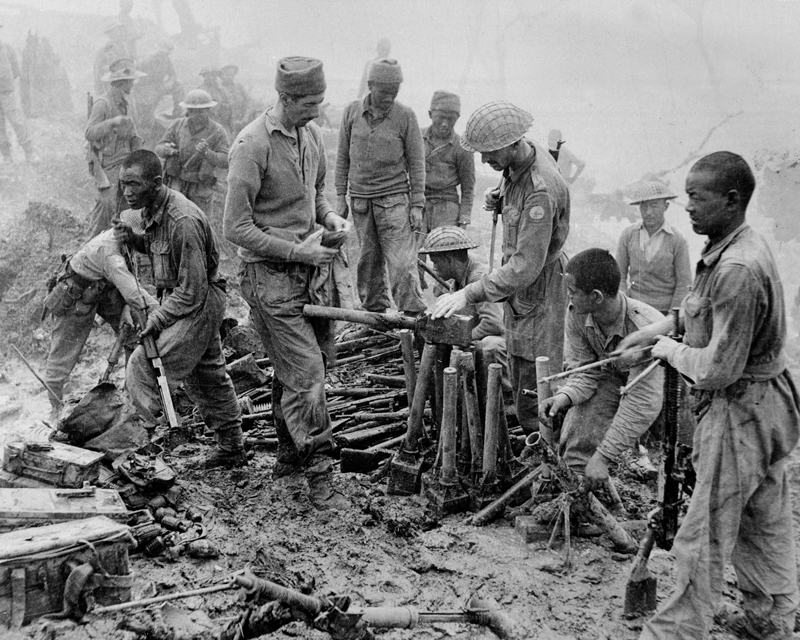 Between 5 and 18 April, Kohima saw some of the bitterest close-quarter fighting of the war. In one sector, only the width of the town’s tennis court separated the two sides. When, on 18 April, the relief forces of the British 2nd Division arrived, Richards’s defensive perimeter was reduced to a shell-shattered area only 350 metres square. Mutaguchi had underestimated his enemy’s defensive skills. Likewise, he misjudged the Allies’ ability to bring up reinforcements. Mountbatten had immediately despatched the 2nd Division from India by road and rail to Dimapur. There, it joined Stopford’s 33rd Corps for the bitterly contested march to relieve Kohima. On 14 April, the British broke the Japanese roadblock at Zubza and reached Kohima four days later. Despite the arrival of the reinforcements, the battle continued to rage around Kohima until mid-May, when Sato’s division began to withdraw. 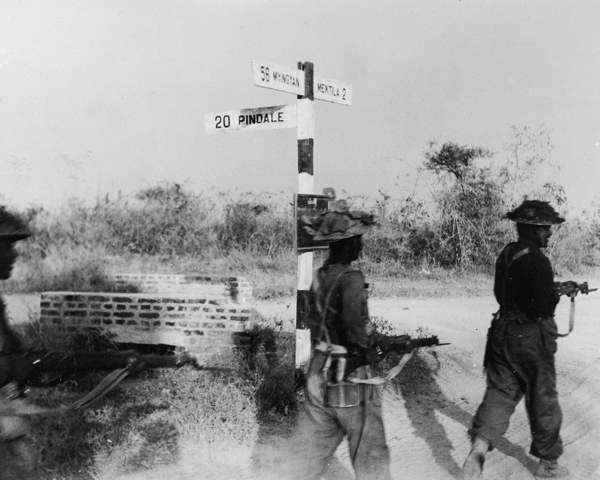 Stopford's men, assisted by 2nd Division, then cleared the road to Imphal. On 22 June, they linked up with 4th Corps, which had been under siege since 5 April. The Japanese made several attacks against Imphal’s defensive perimeter, particularly on the Nungshigum heights and in the Palel area. But the 5th, 17th, 20th and 23rd Indian Divisions held firm. The Allies' logistical and communications superiority were key. 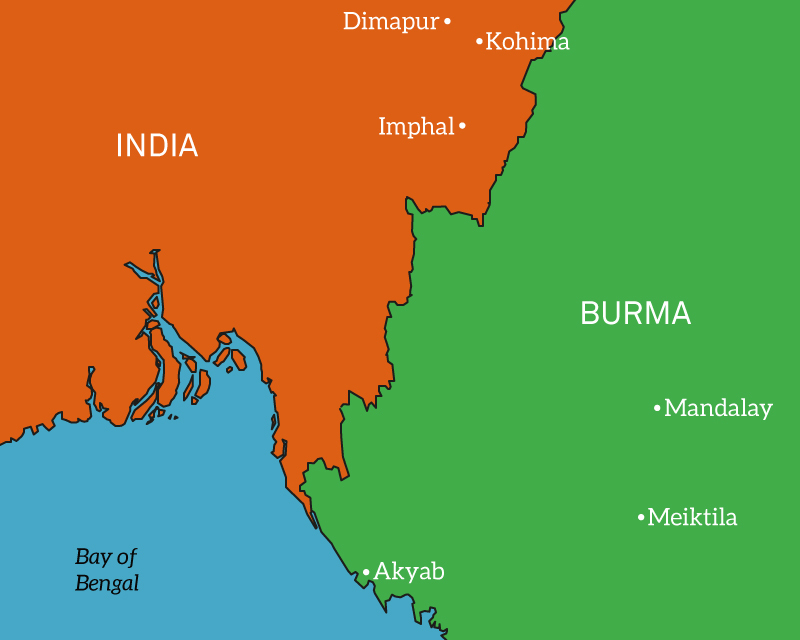 They had not only allowed the quick deployment of reinforcements from Dimapur, but also the airlifting of 5th Indian Division and its equipment from the Arakan to Imphal in only two days. During the battle, the Royal Air Force flew in nearly 19,000 tons of supplies and over 12,000 men, and evacuated around 13,000 casualties. 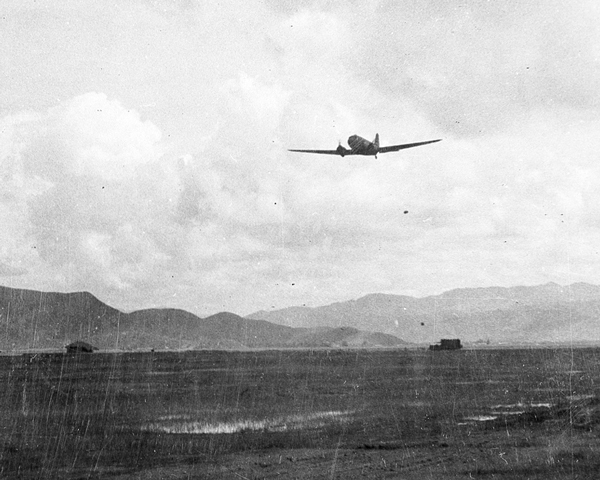 Continually supplied by air, the garrisons threw back the Japanese attacks in bitter close-quarter fighting until the relief forces reached them. The Japanese could have withdrawn fairly easily had Mutagachi not persevered long after it was clear the offensive had failed. His plan had relied on using captured supplies. When these were not forthcoming, his men starved in the worst of the monsoon conditions. The Japanese 15th Army, 85,000-strong, eventually lost 53,000 dead and missing. The British sustained 12,500 casualties at Imphal, while the fighting at Kohima cost them another 4,000 casualties. Imphal-Kohima was one of the biggest defeats the Japanese Army ever suffered. Mutaguchi was relieved of command, recalled to Tokyo, and finally forced into retirement in December 1944. That same month, Slim, Scoones and Stopford were knighted by the viceroy of India, Lord Wavell, in a ceremony at Imphal. 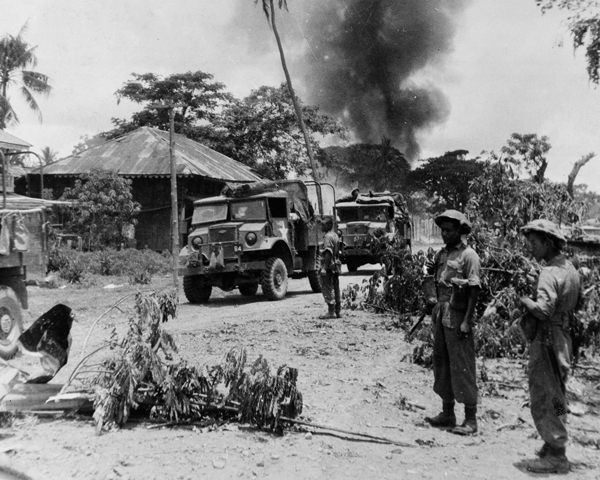 After their defensive victory, the British planned a new offensive aimed at clearing the last Japanese forces from northern Burma and driving them south towards Mandalay and Meiktila. Fighting through the monsoon and supplied by air, troops of the Fourteenth Army now crossed the River Chindwin. The 15th Corps took Akyab in the Arakan, while 4th and 32nd Corps won bridgeheads across the River Irrawaddy. After fierce fighting, Meiktila and Mandalay were captured in March 1945. The route south to Rangoon now lay open. 4th Corps was only 30 miles (48km) from the city when it fell to a combined air and seaborne operation in early May. The Commonwealth War Graves Commission cemetery at Imphal contains 1,600 graves. The one at Kohima holds 1,420. There are also several monuments to British and Indian units that fought at Kohima, as well as the Kohima Cremation Memorial commemorating the 917 Hindus and Sikhs killed there. Kohima War Cemetery lies on the slopes of Garrison Hill and also contains the British 2nd Division’s memorial. The inscription on the latter has become famous as the ‘Kohima Epitaph’. 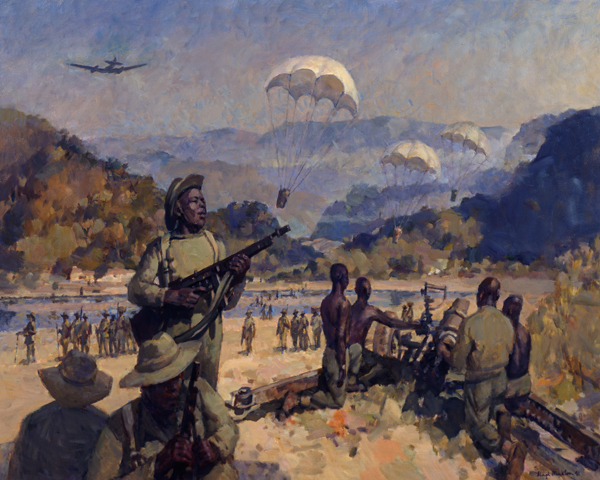 Between December 1941 and August 1945, British Commonwealth troops and their allies fought a bitter war across the vast expanses of Asia and the Pacific Ocean against a tenacious and often brutal enemy. Marking the 75th anniversary of the battles of Imphal and Kohima, historians James Holland and Robert Lyman discuss their immediate impact and wider significance. To mark its 75th anniversary, Tim Bean reveals the story behind one of Britain's greatest battles. France's defeat in the summer of 1940 left Britain threatened with invasion. Find out how the nation was mobilised to resist enemy attack.